Sedum, also known as Showy Stonecrop or Border Stonecrop, is an attractive and hardy perennial plant with hundreds of varieties. Sedum is a popular plant for landscaping because it is easy to care for and it's fall blooms come in a wide array of vivid colors. Sedum is a great plant type for a variety of different containers. You can plant different types of Sedum, both short and tall, to create a unique and interesting contrast. 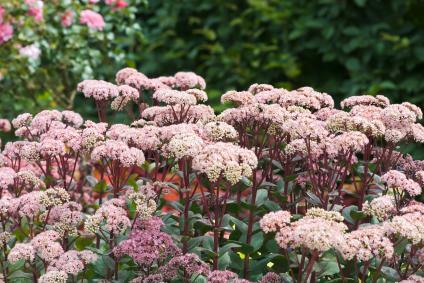 Naturally, you will need a deeper, larger container if you plan to plant tall sedum varieties. Sedums fall into a category of plants known as succulents. 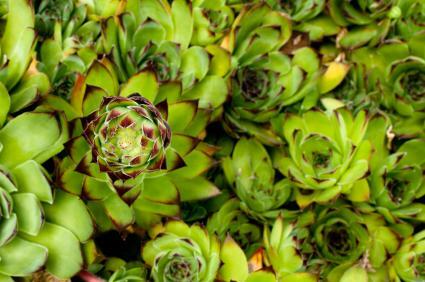 Succulents are fleshy-leaved plant species such as aloes, kalanchoes and sempervivums. These types of plants are able to thrive in harsh environments and are able to tolerate intense sun, drought and poor soil. In addition to being one of the easiest types of plants to care for, there are other advantages to planting sedum. Most species are late bloomers, therefore once the summer blooms of other flowering plants have faded away, sedum makes a beautiful fall display in your garden that often carries over far into the winter. Sedum blooms also attract wildlife into your garden such as butterflies, bees and hummingbirds. 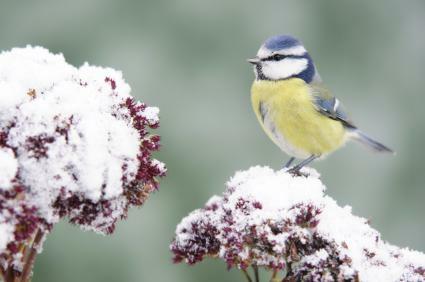 The taller sedum species often used in borders stand tall throughout the winter, with their seed heads attracting birds. 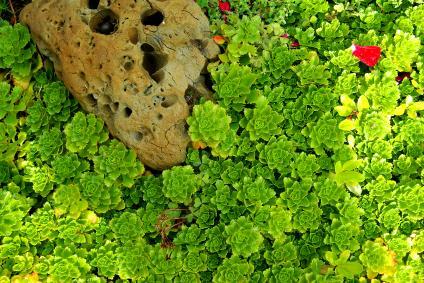 Low to medium growing sedum plants are excellent choices for filling in gaps in landscaping designs and provide beautiful groundcover with their fleshy, plump, multicolored foliage. If you have spots on your property where the soil is poor and can't support most other types of plants, you can fill in these areas with sedum. Varieties such as Roseflower Stonecrop and Heckner's Stonecrop make excellent additions to rock gardens or stonewalls. With over 400 varieties of sedum available in all shapes, sizes and colors, there is bound to be a type of sedum that will appeal to any gardener. Not every type of sedum requires intense sun and dry, well-drained soil. Some varieties thrive in shady areas with cooler temperatures and moist soil. No matter what type of climate you live in, you only have to do your research to discover which types of sedum will make a great addition to your home.